An adverb clause is a dependent clause that modifies another clause. These clauses give more information about the rest of the sentence. 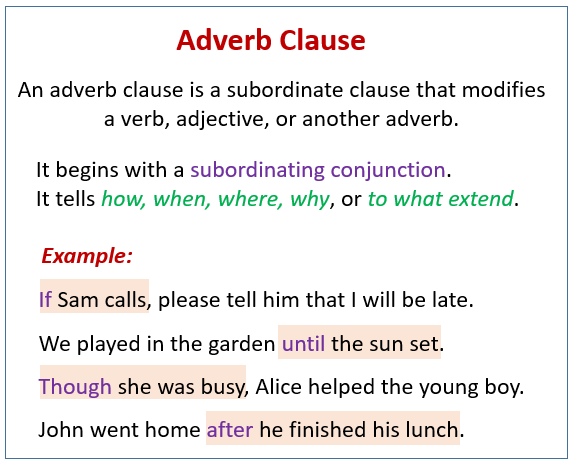 The following table gives some examples of adverb clauses. Scroll down the page for more examples and explanations. This instructional English grammar video defines and gives examples of adverb clauses. What's an adverb clause? Understanding adverb clauses helps avoid writing sentence fragments.